Summer in south korea means Patbingsu time! Patbingsu is referred to sweet red bean shave ice. In summer, every coffee shop in South Korea serve Patbingsu. 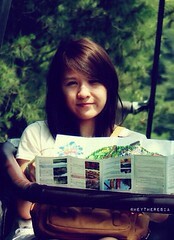 Yes, it's seasonal menu. Every place that serve Patbingsu has their own creation the classic one with sweet rice cakes and condense milk. Matcha patbingsu is my favorite, I was looking for every place that serve matcha patbingsu. 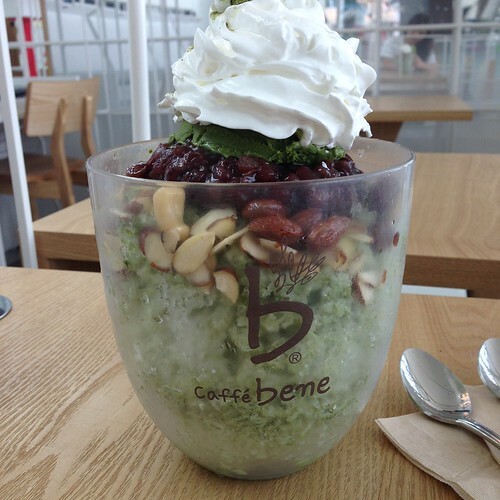 Among all that I've tried, Caffe Bene matcha patbingsu is best. The matcha ice cream on top was so good, it also has caramelized cashew and walnuts as topping. I had their matcha patbingsu couple times because I really like it, once I also tried the chocolate brownie bingsu.